Our partners and friends at the BFI have lots going on this summer for the kids to enjoy, be inspired by and create. Take the little ones to Southbank this August and enjoy the long summer days at the BFI’s raucous kids activities and family-friendly film screenings, from treasured classics to new releases. Tiny tots will love the painting and stop-motion workshops inspired by Shaun the Sheep, while budding young directors can learn the craft at special film courses. 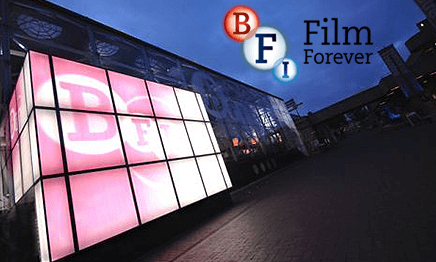 The BFI Southbank has changing facilities as well as being fully accessible for buggies and pushchairs. Don’t miss the KIDS EAT FOR FREE offer at the Riverfront restaurant, all day, every day. London’s tiny tots can get messy making painting and making stop-motion animations at Shaun the Sheep Messy Time for the Very Young at the BFI. With a Shaun the Sheep inspired afternoon workshop, kids can dress up, run around and make as many things as they like, whilst learning the basics of animation and film making. Parents are welcome to sit, make and watch their kids get filthy without having to do any of the clearing up! After an afternoon of mess making, children and their parents can join their new friends for the Shaun the Sheep Movie 2015 at 14:30pm, and watch Shaun and his flock travel to the big city on a mission to find a farmer whilst avoiding capture by the city’s animal warden. For those children with a passion for films, learning all the basics in making short films is a wonderful chance for them to stretch their creative muscle and get ahead of the game. Kids will be taught all the secrets to creating short films, using techniques including stop-noting animation, editing and special effects, as well as how to craft a film using the city as an exciting, ever-changing backdrop to the the stories found in their imaginations. The Bronze Arts Award Week offers children in London the chance to participate in a certified film course for 11-14 year olds, allowing kids to immerse themselves in everything relating to film, from its history and development to learning new skills in animation, video production, editing, screenwriting and much more. It’s a wonderful summer school workshop for children with a passion for film looking to fill those long summer days. Why not become a BFI member and enjoy 22% off BFI’s Annual membership. Perfect for family fun, enjoy discounts, priority bookings and more this summer.